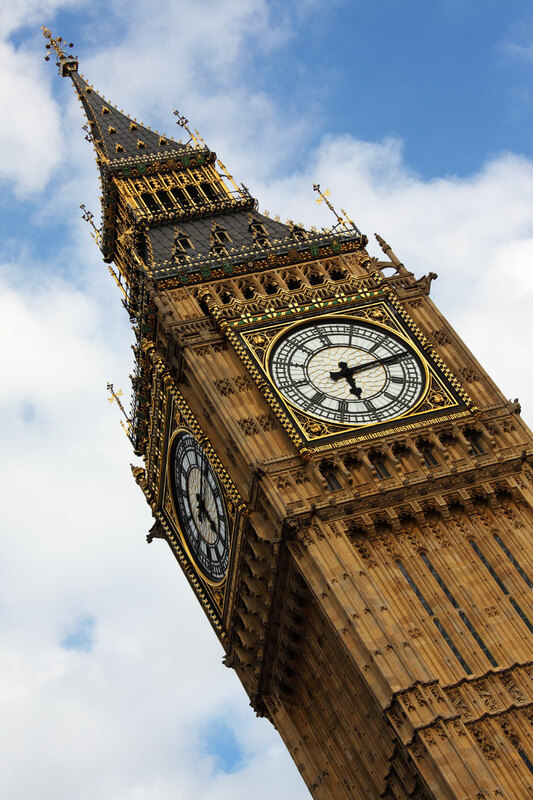 Greenwich Mean Time (GMT) was replaced with UTC in most of the countries in 1972. However, GMT and Coordinated Universal Time (UTC) can be seen as the same as long as fractions of a second are not important. UTC is based on International Atomic Time (TAI). The only difference between the two is that UTC is adjusted when needed by adding a leap second in order to keep it within one second of UT1, which is defined by the Earth's rotation. In other words, TAI is UTC without leap seconds. The aim was to let the atomic clocks show the time since they are very accurate. However, the rotation of the earth is constantly slowing down, which means that the atomic time and the rotation of the earth will end up in dysynchrony. Since most of the users of UTC want official time to tie to earths time, a dilemma rises. Individuals interested in precision time and frequency want the most uniform and accurate time possible. However, the planet speeds up and slows down milliseconds in a day, earth time is not useful for precision of metrology. For that reason, UTC was made a compromise time scale. There was a dispute between the French and the English of the shortcut of the new time name. The English suggested CUT from Coordinated Universal Time, and the French TUC from Temps Universel Cordonné. As a compromise, UTC was chosen. UTC is generated at the Bureau International des Poids et Mesures near Paris. There, data from approximately 230 clocks from 60 laboratories around the world is collected. Rate and stability of each clock is measured and tested for abnormal behavior. Then each clock receives a weighting factor corresponding to its individual stability. This procedure provides uniformity in combining data from the entire set of clocks. Reliability is achieved by the sheer number of clocks involved. The entire process to generate UTC takes approximately one month. UTC was set to be synchronous with UT1 at 0000 hours in 1st of January 1958. A few research institutes started using UTC instead of GMT in the 1960's. In 1972 the new UTC was adopted internationally. Greenwich Mean Time is a time system referring to the mean solar time at the Royal Observatory in Greenwich, London. The Greenwich Observatory pioneered the use of exact time for sea navigation and was commissioned by King Charles II in 1675. Until the 19th Century, many countries and even towns kept their own local time based on the sun's passage across the sky. There were no global rules governing when the day would start or finish. The increasing use of GMT for civil purposes within the United Kingdom led in 1880 it to become the legal time throughout the country. In 1884 41 delegates from 25 nations gathered in Washington in the U.S. for the 1884 International Meridian Conference to decide from where time and space should be measured. Greenwich won the prize of longitude 0° by a vote of 22 to one, with only San Domingo against and France and Brazil abstaining. During those days 72% of the world's shipping depended on sea charts that used Greenwich as the Prime Meridian and the United States had already chosen Greenwich as the basis for its own national time-zone system. These were the two main reasons for British victory over key rivals Washington, Berlin and Paris. It was agreed in the meeting that Greenwich Mean Time would be used as the standard for the world, with the day beginning at midnight at Greenwich and counted on a 24-hour clock. The mean time was obtained from observations of the transits of stars. The accuracy of UTC is as good as the accuracy of atomic clocks, but it is adjusted when needed to keep it synchronized with the rotation of the Earth. In the beginning of the 1960s when the world was ticking according to GMT, research centers in the United States, in England and in a few other countries started using UTC. In 1964 UTC was adjusted in the beginning of April and September for 0,1 seconds and again in October for 0,01 seconds. The continuous adjustments of UTC were troublesome, therefore in the beginning of the 1970s the definition of UTC was altered so that the adjustments are done when the difference of atomic time increases close to the next full second. With this modification it was possible for UTC to be used internationally. In 1972 the new UTC was adopted globally. Greenwich Mean Time was established in 1884 by a treaty agreed by 25 countries. It was determined using astronomical measurements at the Greenwich Observatory. GMT has evolved into UTC, which relies on atomic rather than astronomical clocks. International Atomic Time (TAI) is an average time from 230 atomic clocks from 60 laboratories around the world. It is maintained by the Bureau International des Poids et Mesures close to Paris, France. UTC is TAI with leap seconds. UTC is adjusted when needed by adding a leap second in order to keep it within one second of UT1, which is defined by the Earth's rotation. UT1 is a time scale of Earth's rotation on its axis. Sadler, D.H., 1978. Mean Solar Time on the Meridian of Greenwich. Quarterly Journal of the Royal Astronomical Society [online] 19, p.290. Available at: <http://adsabs.harvard.edu/full/1978QJRAS..19..290S> [Accessed 17 August 2012]. Allan, D.W., Ashby, N., Hodge, C., 1998. Fine tuning time in the space age. IEEE Spectrum [e-journal] 35(3), p.42. Available through: EBSCO - Business Source Complete [Accessed 19 Aug 2012]. medbib.com. Coordinated Universal Time [online] Available at: <http://medbib.com/Coordinated_Universal_Time> [Accessed 17 August 2012]. Oja, H., 2010. Aikakirja 2010 [e-book] 5th ed. Helsinki: Helsingin yliopiston almanakkatoimisto. Available at: <http://almanakka.helsinki.fi/aikakirja/index.html> [Accessed 15 Aug 2012]. Marshall, E., 1987. A Matter of Time. Science [e-journal] 238(4834), pp.1641-1643. Available through: Science [Accessed 15 Aug 2012]. Rodgers, L., 2009. At the centre of time [online] Available at: <http://news.bbc.co.uk/2/hi/uk_news/magazine/8266883.stm> [Accessed 16 August 2012]. Royal Museums Greenwich. History of the Royal Observatory [online] Available at: <http://www.rmg.co.uk/about/history/royal-observatory/> [Accessed 19 August 2012].